He might be a bit of a nob, but where would we be without Steve Jobs? Without the iPhone? Why, we might even have to talk to each other, heaven forbid. There’s no shortage of films about the man, with Joshua Michael Stern’s Jobs released only three years ago, starring Ashton Kutcher of all people (I mean, really? That’s the best you could do?) 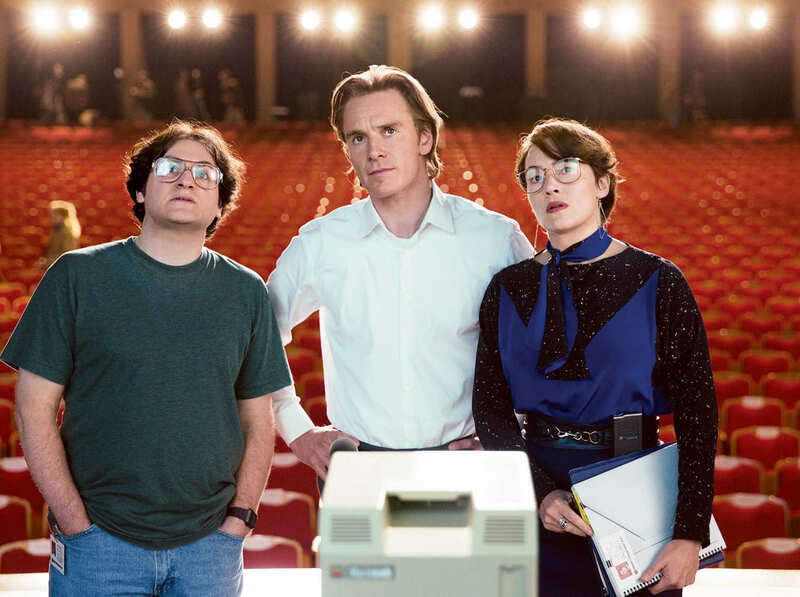 Thankfully Steve Jobs is a vast improvement, with Danny Boyle (Slumdog Millionaire, Trainspotting) in the director’s seat, Aaron Sorkin (The West Wing, The Social Network) as screenwriter, and actor extraordinaire, Michael Fassbender in the title role. It’s certainly an improvement, but its focus may be frustratingly narrow for some. Jobs has previously been immortalised on screen in Pirates of Silicon Valley (1999), a film which detailed the beginnings of both Apple and Microsoft, spanning from 1971-1997. Stern’s Jobs, despite being made in 2013, frustratingly also had a timeline that only went up to 1997, with a brief flash-forward to the iPod launch in 2001. With the latest Steve Jobs I had hoped to see the iPod and the iPhone, two products which have revolutionised technology and which have both played a big role in my own life, paid their due. Alas, the film ends in 1998. Maybe there was less conflict in many areas of his life after this period which doesn’t seem big screen worthy – he was stable in his role as Apple CEO and he had mended things with his daughter – but is it so much to ask to get a glimpse of the makings of those products that so changed the world, as well as an insight into his health? 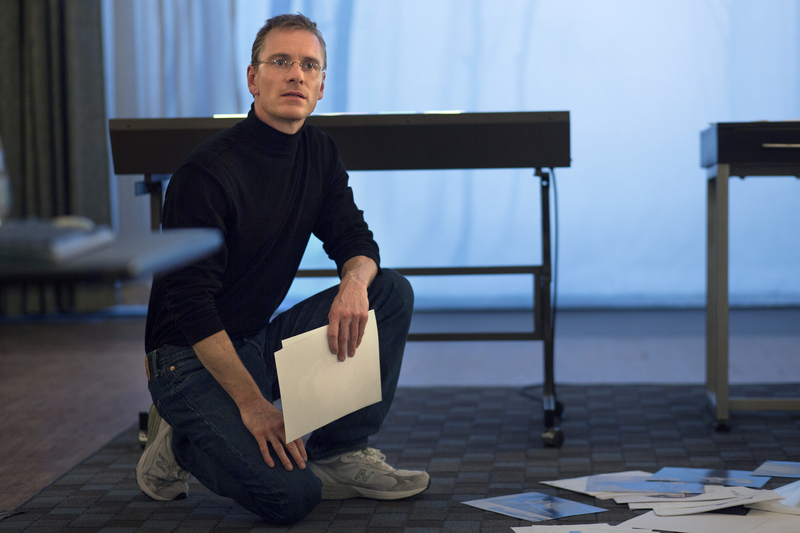 Once you can get over this omission, Steve Jobs is a fine piece of filmmaking with a unique slant. Divided into three acts, the entire film takes place backstage at three notable launches. The first is for the Apple Macintosh in 1984, the second is for the NeXT Computer in 1988, and the last is for the iMac G3 in 1998. Notable characters return at each launch: marketing executive Joanna Hoffman (Kate Winslet), Apple co-founder Steve Wozniak (Seth Rogen), engineer Andy Hertzfeld (Michael Stuhlbarg), former CEO of Apple, John Sculley (Jeff Daniels), and Jobs’ daughter Lisa (played by Makenzie Moss, Ripley Sobo, and Pearl Haney-Jardine). Though it’s a bit of a stretch to believe so many important conversations all took place in the final minutes before these important launches, it’s an approach that works in raising the stakes and understanding the stress that would have been a regular part of Jobs’ life. Specific focus is on his relationship with his daughter, whom he initially refused to recognise as his own. There is no mention of his wife and other kids. This film is full of fine performances, with Michael Fassbender leading the pack as a man who you can simultaneously respect on a professional level and loathe on a personal one. Kate Winslet and the three Lisas all deserve special mention. Aaron Sorkin’s script is unsurprisingly razor-sharp, though it can be easy to get lost in all the dialogue between Jobs and Sculley at times which focuses on the somewhat boring business side of things. But there’s YELLING so that’s always exciting. 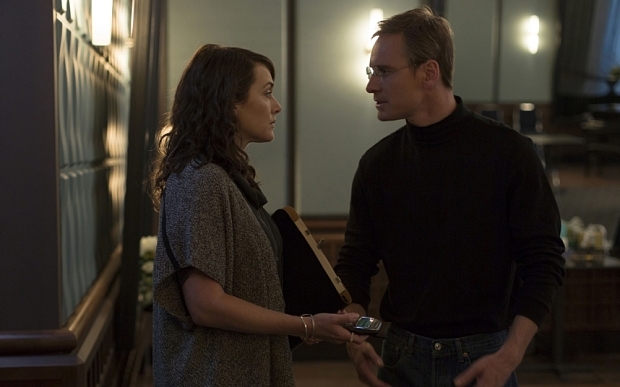 Danny Boyle adds a unique flair to this version of Jobs’ story – the space is used well, with scenes taking place in various locations – stages, foyers, greenrooms, orchestra pits, and practice rooms. A few flashback scenes are interspersed by way of clever editing, and there are montage packages to transition between the three acts which provide information on the interim events. What the hell kind of phone is that? 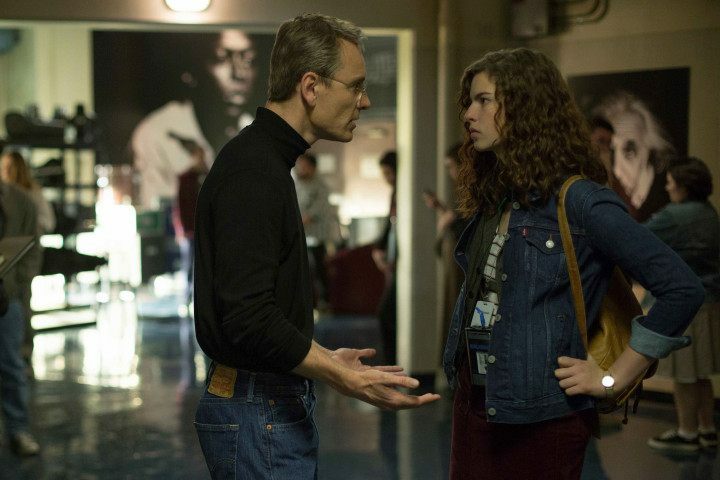 For an insight into his relationship with his daughter, and of a few big moments in his career, Steve Jobs is a worthwhile watch. It isn’t perfect, however, and there’s certainly still room for another update, hopefully with the humble iPhone getting a starring role next time. Now excuse me while I go waste some time on mine.